Algona City Hall — K&W Electric Inc.
K&W Electric, Inc. has completed work on the new, modern City Hall in Algona. What some have scribed as the "Taj Mahal" of city halls, this project should not be underestimated. The new City Hall facility boasts new office spaces, a reception area, a garage for city vehicles and a modern council chamber complete with state-of-the-art technology. 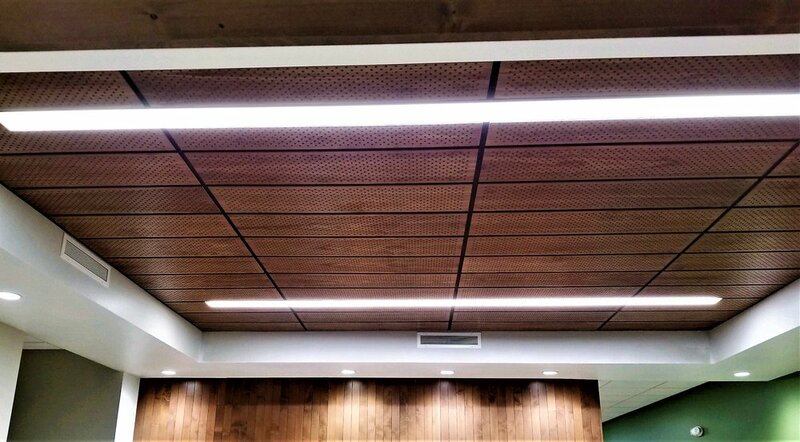 Within these areas, K&W Electric, Inc. installed decorative Axis lighting within architectural ceilings, giving it its modern look, along with Cooper/Eaton light controls which save energy with an automatic shut off. Data and technology cabling provide a public meeting conference system which allows the council chamber the ability to visually display information at council meetings. 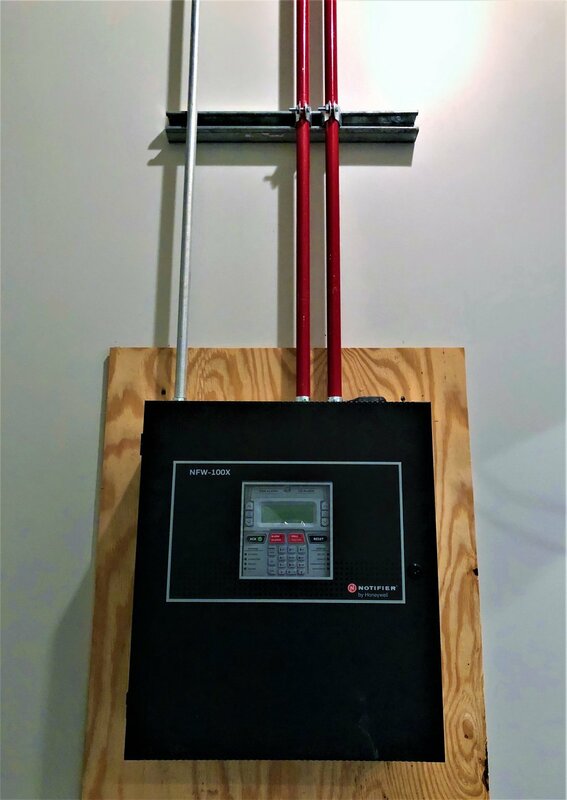 A vehicle exhaust system which incorporates a sensor that activates an evacuation fan when it detects exhaust emissions and gases, and lastly, a fire alarm system integrated throughout the building. 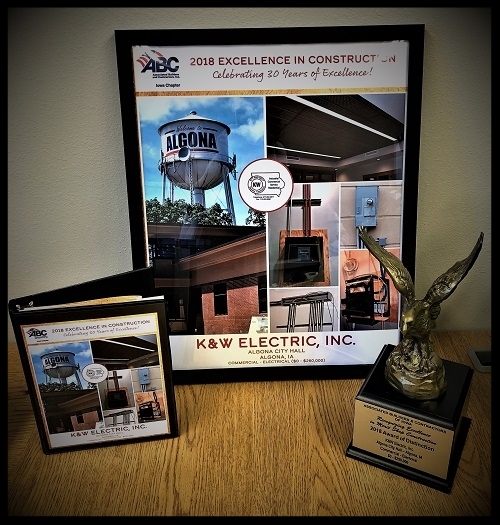 This project was entered into the 2018 ABC of Iowa Excellence In Construction competition and brought back the Award of Distinction in the Commercial - Electrical ($0-$250,000) category. Congratulations to everyone who worked so hard on this project, from inception to completion!